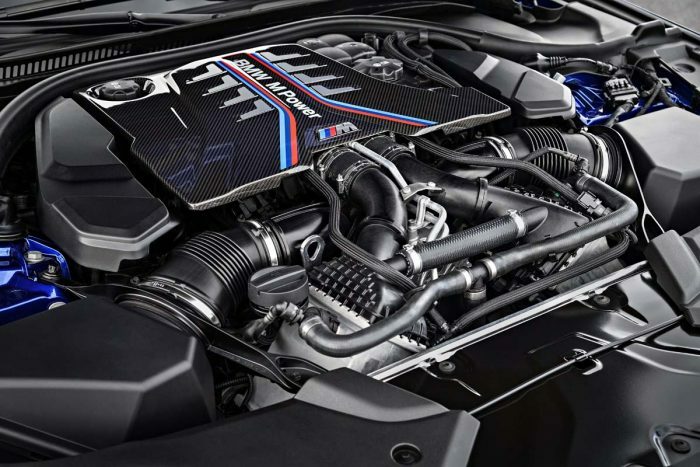 BMW’s M5 has always been the Bavarian marque’s performance sedan flagship – and rightly so, offering a perfectly balanced mix of business class luxury and race car dynamics. But even by those lofty standards, the new-gen M5, due for its world debut at next week’s Frankfurt Motor Show, looks a step above. 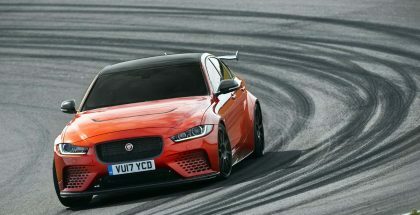 First off, it will probably be remembered as the first M5 to offer all-wheel drive – but that’s only part of the story. In this M5, the M xDrive all-wheel drive system is three-way configurable. In standard mode, it seamlessly moves the urge between the front and rear axles, with the bias towards the rear wheels. 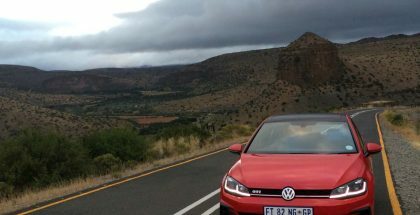 4WD Sport allows mild, easily controllable oversteer – harder on the rear tyres, but much more fun. Good news, though: you can still opt for old-school, tail-happy rear-wheel drive – all at the push of a button or two. 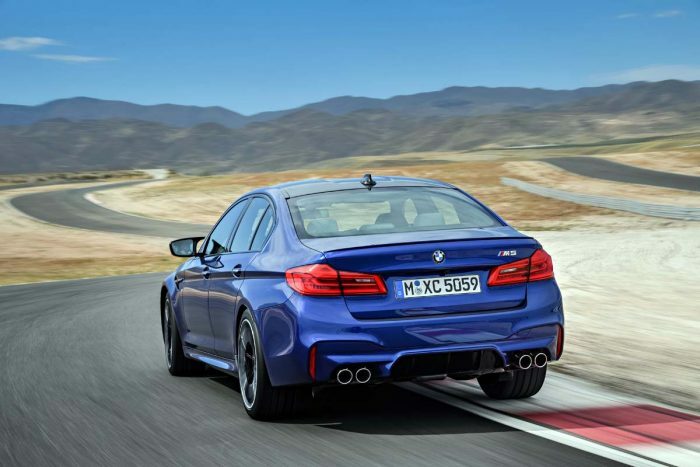 The M5’s active variable limited slip diff adds further confidence, offering up to 100 percent of lock if required. And then there’s the user-adjustable stability control system with three modes: DSC On, M Dynamic Mode (MDM), and DSC Off. Plus the electronic damping can also be set in three steps: Comfort, Sport and Sport Plus. All of this promises to make this sixth-generation, F90-derived M5 the most dynamically versatile expression of the M sedan art to date. Providing the necessary urge is an updated 4,4-litre twin-turbo V8, offering gains in both powr and efficiency. 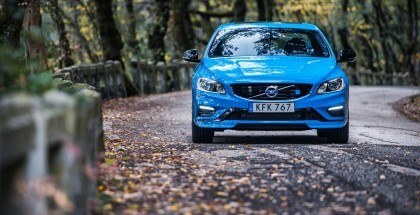 Maximum muscle is a quoted 441 kW sustained between 5 600 and 6 700 rpm, while the torque increases by 70 Nm compared to the previous model, and now peaks at 750 Nm in a broad, flat band between just 1 800 and 5 600 rpm. 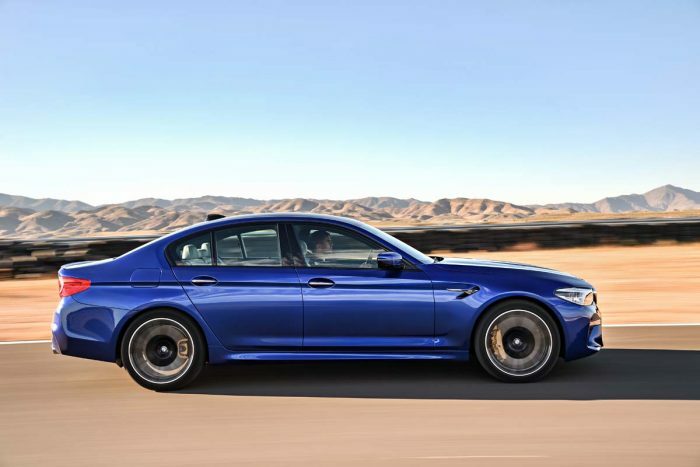 Vitally, the M5 benefits from the F90 5-Series’s reduced kerb mass, weighing in at 1 855 kg for an impressive power-to-weight ratio of 237,73 kW/ton. 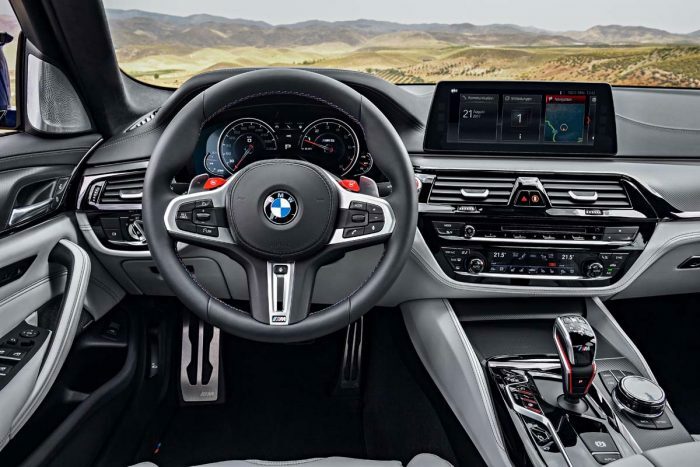 The transmission is BMW’s latest, dynamically optimised M Steptronic eight-speed auto gearbox, promising rapid shifts, especially in manual mode, and using the steering column-mounted shift paddles. 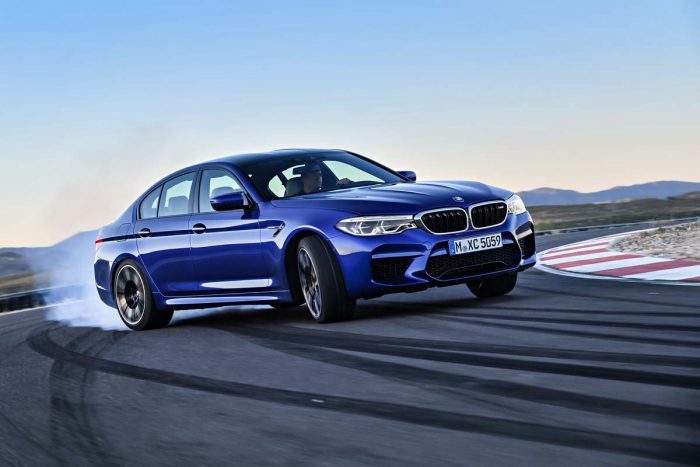 All of this also conspires to make the newcomer BMW’s fastest M5 yet: the claimed 0-100 km/h sprint time is 3,4 sec, with the 0-200 km/h dash despatched in 11,1 sec. Top speed is electronically limited to 250 km/h, but the limited can be optionally raised to 305 km/h. While fuel efficiency is unlikely to be a priority among typical M5 buyers, the factory figures suggest that a combined cycle consumption figure of 10,5 litres/100 km is attainable – although real-world use (and an enthusiastic right foot) will probably yield considerably higher figures. 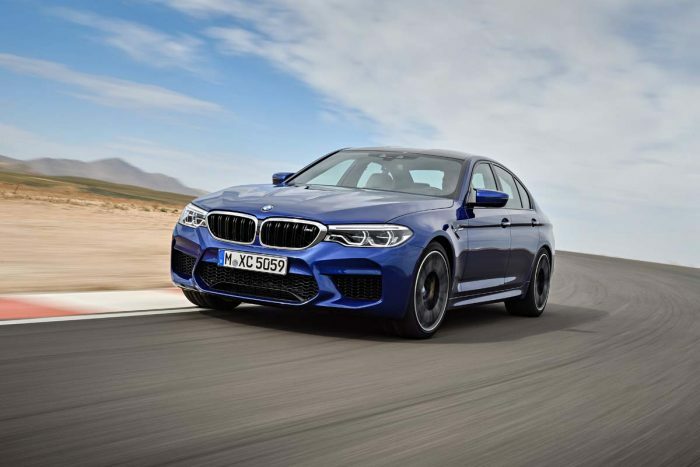 While the new M5 makes its world debut in Frankfurt next month, European sales will only start in early 2018, with right-hand drive examples expected to reach South African shores around April next year.